Finally ran into a stamp where the poem didn’t just flow out. It is probably because I have not had the pleasure of going to Colorado. Never daunted, though, a little research and a lot of admiration for wild flowers produced a sweet little poem. Now, the home of Pike’s Peak, Colorado, is on my bucket list. Enjoy the poem! in that high clear sky. 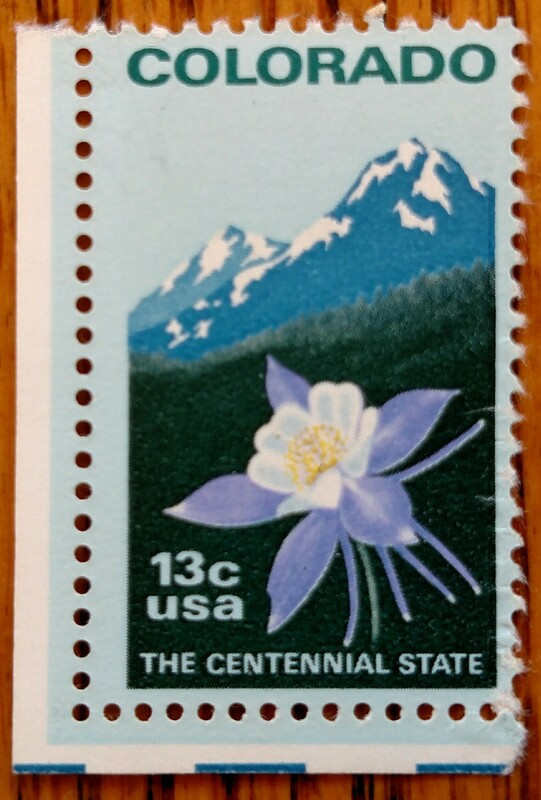 This entry was posted in NaPoWriMo and tagged Colorado, Columbine, gold mining, mountains, postage stamp, skiing, stamp, stamp collection, wild flower. Bookmark the permalink.